If a company is operating without any strategic planning, then an imminent loss or slow progress can be anticipated. Strategic planning plays a pivotal role in the success of any business. It cannot be overlooked, neglected or considered less important at any cost – it is what defines the goal of a business. Why is Strategic Planning so important? You cannot go anywhere without knowing where exactly you want to go, right? In simple words, strategic planning defines “where” your business wants to go and what goals it has to accomplish. It does not necessarily mean that it will tell you the progress of a company. In other words, strategic planning is a roadmap for your company. When it comes to strategic planning, there is need of special emphasis on three critical elements: Values, Vision Statements, and Mission. These three are the fundamental elements of any strategic planning process. Values: A culture of any organization is defined by the set of beliefs that are shared by everyone in an organization. Vision Statement: The ideal or desired state of any organization is defined by a future-oriented vision statement. Mission: It defines the true purpose of an organization/company, explains why it exists and what it aims to accomplish. An analysis method called SWOT (Strengths, Weaknesses, Opportunities, and Threats) is used to determine the internal weaknesses and strengths along with external openings and threats that are faced by an enterprise. Weaknesses: These are the shortcomings that limit the progress of any company and its ability to fully utilize its resources and capabilities. Opportunities: These are the openings that can be utilized by an organization to gain an edge over its competitors. Threats: These can come from any direction, e., organizations, competitors, individuals, regulatory bodies, etc. The SWOT analysis can be used to set goals, objectives, priorities, action plans, and measuring performances. An analysis method called PEST (political, economic, social, technology) is a micro framework that is deployed for the purpose of expanding the SWOT analysis of a company. PEST comprises of regulatory and political issues, social norms and behaviors, economic factors, technological developments, and demographics. With PEST analysis, a company can assess its progress, weaknesses, plus points, and take advantage of its resources. When everything is fully sorted out, the process of strategic planning becomes simpler. 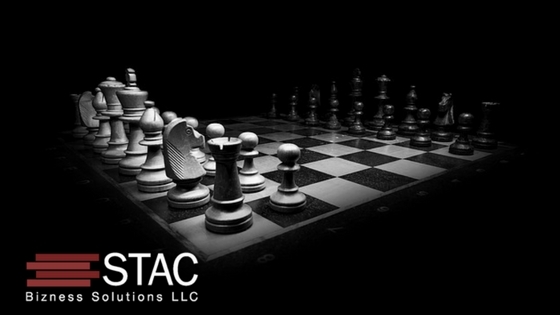 All in all, it is fair to say that strategic planning is crucial for any company. One cannot deny the importance of financial strategy as well. A financial strategy is developed after a comprehensive strategic planning is complete. Just ensure that you describe the vision, fundamental values, and mission of your company and plan for future contingencies. By evaluating your weakness, strengths, opportunities, and threats, you can develop an impeccable result-oriented strategic plan for your business. Looking for a QuickBooks Expert? Working with a QuickBooks ProAdvisor is the best way to learn how to use QuickBooks to help your business grow and flourish. You won’t find a better way to get the support you need anywhere else. As a small business owner, we realize that you may not have the budget to hire a QuickBooks expert. If you’re looking for a more economical way to get set up on QuickBooks, we provide cloud bookkeeping programs to match any business requirement. Here are our Quickbooks Services; QuickBooks Setup, QuickBooks Training, and QuickTune-up. 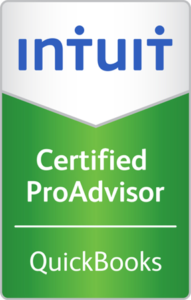 You can feel confident in knowing that our STAC Bizness Solutions team are Certified QuickBooks ProAdvisors. Meet Our Team. 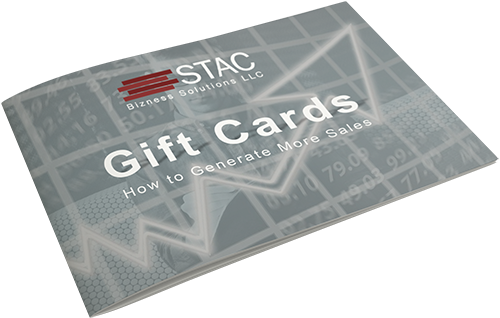 If you would like to learn about all the benefits that STAC offers, just give us a call and we’ll provide you all the details. Call us at (844) 424-9637. To schedule an initial consultation with us, please click the button below. The National Gift Card annual 2017 Gift Card Data states plastic gift card redemption doesn’t appear to be going away anytime soon.